Enamel points are available in any color choice, as is lettering color and style. GA-REL can match any pantone color. Ga-rel 5 point Star Badges shown with color fill in points can be ordered in the color fill of your choosing. 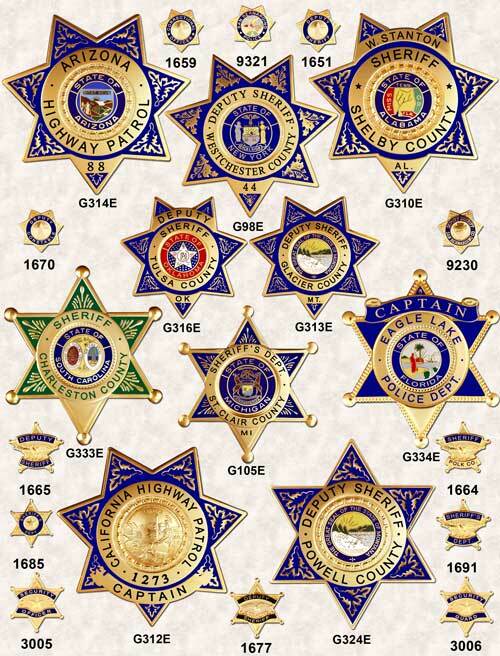 Choose from over 500 styles of Police Badges and Fire Department Badges to customize your uniform. Badges are available in shell or flat back and either Roman or Block lettering.